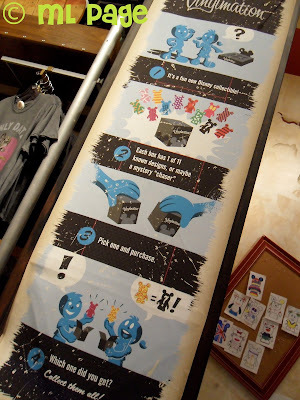 Picturing Disney: Do You Vinyl? I snapped this pic for a scrapbook so I would remember years and years from now how into Vinylmation I was right now! The last few years they were a great source of fun for me as well as a way to bridge time between trips and commemorate different events. I haven't gotten a Vinyl since October but even if my collecting starts to stop I will always love these guys and D-Street in Downtown Disney!